November 30, 2018 – With Canada’s place recently reconfirmed among the world’s largest greenhouse gas emitters, the Trudeau government finds itself under increased pressure and scrutiny in the wake of a United Nations report stating this nation will fall short of emission reduction goals. But with just over one month until the implementation of a federal carbon tax ostensibly aimed at reducing Canada’s carbon footprint, new public opinion data from the Angus Reid Institute finds one-in-three Canadians skeptical about whether climate change is a fact caused by human activity. Demographic differences between Canadians on age and political ideology largely drive differences on this quarrelsome issue. 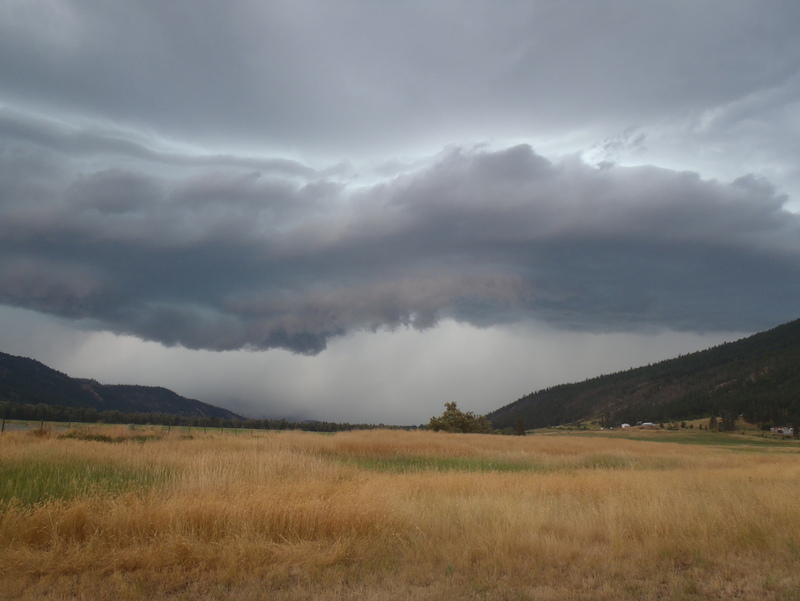 For example, 18- to 34-year-old Canadians appear to carry a heightened sense of gravity than older respondents regarding the threat from climate change. 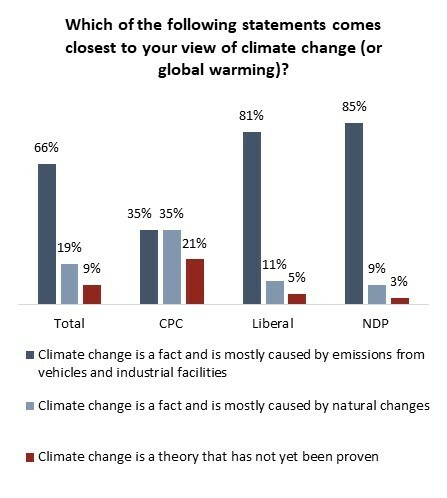 And while more than four-in-five past Liberal and New Democrat voters believe climate change is a fact, (81% and 85% respectively), this drops to just one-third of those who voted for the Conservative party in 2015. What does it matter who is causing global warming? It is happening and we can change it.We are the sympton and the disease,We are the cause and the cure.You can’t change the mind of buffoons like Doug Ford or D Trump but the gov’ts of this world (While they may still be more powerfull than the corporations ) can stop the carbon footprint from increasing by giving absolute limits fo carbon release to industry.These limits should be fair but imutable and any overages will mean termination of that buisnesses operations .No Cap and Trade just a cap .It must be done now without exception.We can eliminate fthe use of fossil fuels in the IGPCC moddel and replace our energy use to electricity in 20 years .if we start now.There are so many ways to creat electricity that it can be done.By force if need be. It seems Climate Transparency, funded by, among others, the World Bank, conveniently dismisses our geographical size, the fact that it is cold here for a big chunk of the year, and that the world not only wants, but needs our natural resources and manufactured products. Do they expect us to just stop using our resources, or just give them everything, or fiddle the goofy cap and trade systems by buying carbon credits elsewhere? It seems to me carbon credits are simply a way of transferring your guilt by continuing to emit just as much, but spreading it around to those that don’t by sending them some money. Why should we feel guilty, and be expected to hobble our economy voluntarily? Did we draw the short straw at a climate conference somewhere with large delegations living the high life at taxpayer expense (Canada sends some of the largest, by the way), and looking down their noses at us while they pat us on the head and tell us we really need to do better and learn how to cut back? YOU FIRST. When China, India, Russia, USA and others start paying attention, that will be plenty of time for us to contribute too. Until then, with our paltry 1.8% of global emissions and strong arguments for the case that Canada is a net carbon sink, maybe they should lay their guilt trips down elsewhere.